Tasman’s Natural Pet specializes in premium goods for all dogs. We started with rawhide chews made completely of North American Bison and Elk. We then introduced our dog collars, which are made of premium bison leather, lined with soft elk to ensure a comfortable fit. Now, we have out done ourselves with the Premium Bison Leather pet bed. This pet bed is made right here in the USA by our expert leather workers in Hartford Wisconsin. The bed’s cushion is real memory foam, which is infused with activated charcoal to neutralize everyday pet odor! (Memory foam is inside of a waterproof protector. ) There are three choices for the bed’s exterior cover. Faux fur, which gives the bed a great look; durable Crypton Super Fabric, with a dog pattern; and real Bison Winter Shearling. The Bison Winter Shearling is taken from the Bison during the winter when it is the thickest. The bed’s frame also comes in eight different colors, and ranges in size from 16″ x 12″ for small dogs up to 54″ x 38″ for extra large dogs! Our beds look great in any home, and are loved by all dogs. Finally, your dog will have no reason to want to hop in bed with you! In fact, you may become jealous of your dog when it’s time to go to sleep at night. The memory foam pad is perfect for older dogs that may have developed aching joints or arthritis. Click HERE to check out the different colors, and materials that are offered for Tasman’s Natural Pet Bed. Tasman Natural Pet also offers an option to order only the memory foam pad with your choice of covers. Next time your dog hops in your bed in the middle of the night, remember Tasman’s Natural Pet has a way to keep them snoozing all night, and well into the morning. Happy Thanksgiving from Tasman’s Natrual Pet! 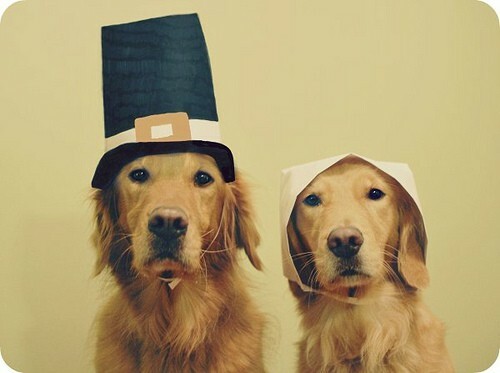 At Tasman’s Natural Pet, we know that like us, you are thankful for every day you get to spend with your dog. (At least before your favorite shoes have been chewed up) Even when we may be frustrated with our furry friends, we are still thankful to have them around. We believe that if dogs could say what they are thankful for, they would undoubtedly say, “My Family”. Please visit our FaceBook Page (Tasman’s Natural Pet) and share why you are thankful for your dog. Tasman’s Natural Pet is glad to have the opportunity to provide dogs with what we believe to be Natures Best Rawhide. Keeping pets happy and healthy by using American products, and NO harmful chemicals is what we’re all about, because they’re family. 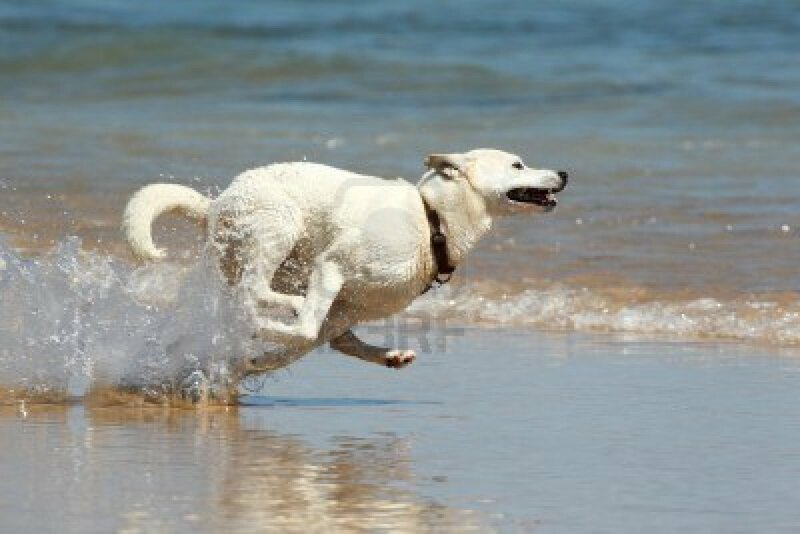 Thi s week, Tasman’s Natural Pet has focused on the importance of natural food and treats for our pet’s health. When we use the word “natural” we’re referring to foods and treats that include only ingredients that dogs may find in the wild and that undergo as little processing as possible. Whether your dog is a new puppy, or an old timer who knows you by heart, nutrition is extremely important for development and longevity. Just like our own diet, it’s important to be cautious of what you allow your dog to eat. We posted THIS ARTICLE on our facebook page listing the major benefits a natural diet provides our dogs. But what about treats and chews? We spend a lot of time looking at other rawhide chews. There are some great chews available, but many leave us shaking out heads asking why companies would offer this to our dogs. At Tasman Natural Pet, we produce our rawhides from North American Bison and Elk. We have been told by many customers that our rawhides are safe for their dogs with beef and pork allergies! We believe that our hypoallergenic ingredients (Bison and Elk) along with minimal processing is what sets our chews apart from the rest. For more information about our rawhides, visit us at www.naturesbestrawhide.com. Our FAQ section should answer most of the questions you may have. We have also listed answers to a couple questions below. Do your chews have any harmful chemicals or Bleach? – No. In fact, we send samples from each lot to an independent laboratory in Memphis Tennessee. The results of those tests are on our website. Bleach (Chlorine) is NEVER, EVER used. We do use FDA Food Grade Hydrogen Peroxide, Enzymes and a smidgen of Food Grade Salt to eliminate any bacteria. We do not use any harmful bacteriacides such as arsenic or formaldehyde. We also do not add any coloring agents, such as titanium dioxide. Why are some of your Bison Rawhide Chews very dark in color? -The answer is due to our limited processing. We do not use heavy duty industrial de-greasers, thus some of our Bison Hides will retain a slightly higher fat content than typical beef rawhides have. When these higher fat content rawhides are dried, the fat darkens, sometime extremely dark. We understand the appearance may not be as pretty as the majority of our rawhides, but they are fine for your pet. It should be noted that many “basted” rawhides are done so to cover up the more “ugly” darkened rawhides. Ours included. We have ceased to produce the basted rawhides, thus occasionally you may encounter one. If you ever receive one of our Bison Rawhides and you are not happy with the appearance, we will replace it, no questions asked. If you are interested in learning more drop us a line at info@naturesbestrawhide.com! 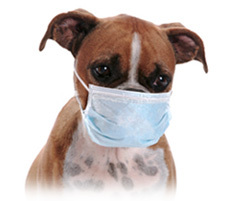 It’s allergy week at Tasman’s Natural Pet. If you’ve ever had a dog who suffers from allergies, you know that it can be a long and aggravating process for both you and your dog. If you have a dog who is currently suffering from allergies, then you also know that a little bit of information goes a long way. We spoke with Jill Peterson from Solid Gol d Northland and she was able to provide some great insight into what may be the cause to some of your little buddy’s allergy problems. Airborne Allergy – If your pet is suffering from runny eyes, nose, or slight cough, then they may be reacting to airborne allergies. Just like us, dogs can be irritated by dust, mold, or seasonal allergies like ragweed or pollen. These symptoms may be treated by time, or a trip to your vet for ongoing cases. Food Allergy – Food allergy symptoms include upset stomach, dry skin & poor coat quality, rubbing of the face and nose, as well as paw chewing. Food and treat allergies can be tricky to remedy. The first step to pin pointing the problem ingredient is to with hold all treats and only allow kibble to be eaten. If the allergy symptoms persist, then you know that ingredients in their kibble are what’s causing problems. If the kibble is the issue, check the ingredients. If the food contains a large amount of grains, such as corn, flower, wheat, etc, then try a food with no grains whatsoever. If a grain free kibble doesn’t work then providing a food with alternative type meats may help the problem. Alternative meats in dog food include bison, elk. Believe it or not, dogs can even be allergic to certain rawhide treats. Tasman’s Natural Pet has received many comments from customers explaining how their pet with allergies can chew safely because our Bison and Elk rawhide is naturally hypoallergenic! We hope this information is useful to you. For major allergy symptoms, it is best to consult your veterinarian. It is important to us that your pet be able each and chew without suffering from allergies because remember, they’re family. Tasman’s Natural Pet rawhides have shown to be hypoallergenic, and safe for a many pets with allergies to chew! Here is some more information on pet allergies. Stay informed to keep your fury family member healthy and happy! Tasman’s Natural Pet has taken another step towards social media! Be on the look out for customer testimonials, interesting facts, and announcements from Tasman’s Natural Pet! If you’d like to share a story about your pet, please e-mail Alucas@naturalpet.com! We will be adding new posts every Wednesday to provide you with information to help keep your best friend happy, healthy, and well behaved. Be sure to check out our Facebook and Twitter feeds on the right side of the blog for more information about Bison & Elk products brought to you by Tasman’s Natural Pet.